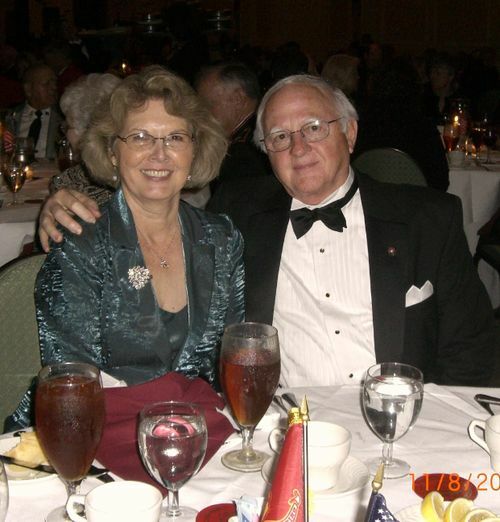 Glenda Burns Minniece submitted this recent photo that was taken at the 2008 Marine Corps Birthday Ball in Houston. Glenda reports that her husband John . . . "is an attorney who prefers business to law. He is also a former Marine and devoted to the Corps. Semper Fi!" Check out Glenda's biography for details of the road - and the air - she has traveled (she is VERY well traveled) as well as where she is NOW in her journey.